I wanted to make a little something for the girls this year as a special “I love u” V-day gift. I found this great pattern from one of my many favorite blogs Natural Suburbia, and realized it was a do-able little project for me. 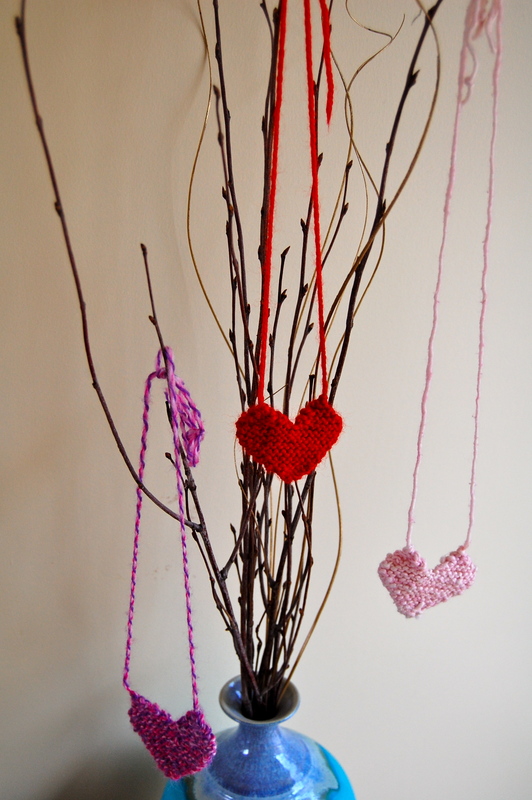 Since I have such a ridiculous amount of pink, purple and red yarn, I figured I could pull a few of these off. 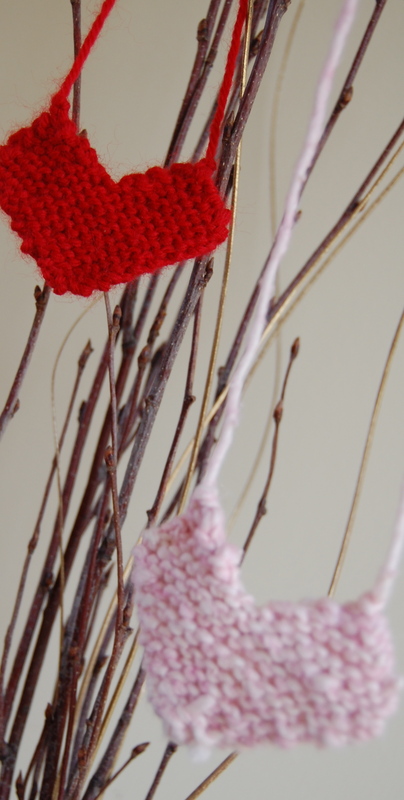 You just need #4 double pointed needles, some yarn and some really basic knitting know how!! 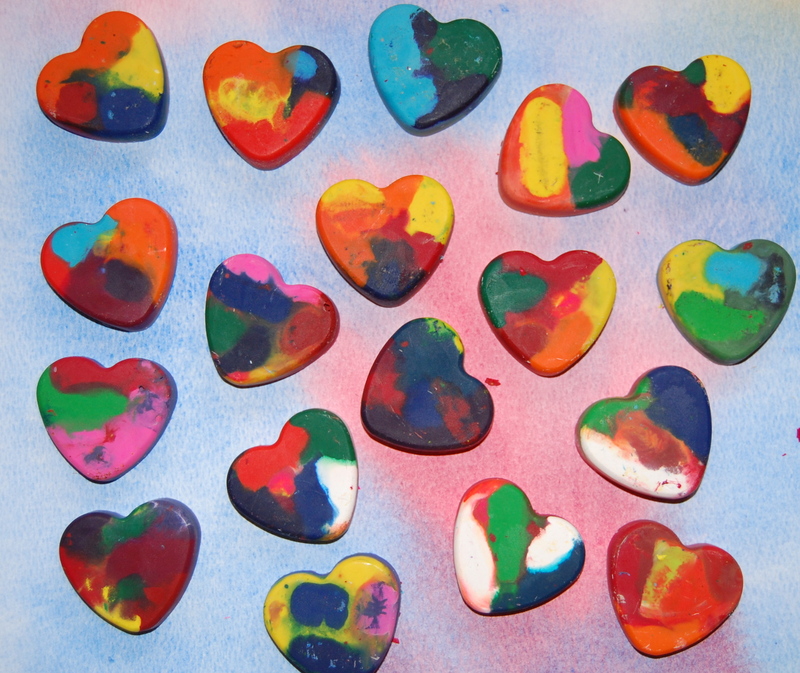 THEN, my Valentine’s Day crafting streak wasn’t quite over; we decided to make these fun heart crayons that I found through Pinterest-Gosh, how I love that little time sucking site. While I had ambitious intentions for other projects as well, due to the major amounts of inspiration I have gathered here, I figured those can wait for another day, week, year!!! 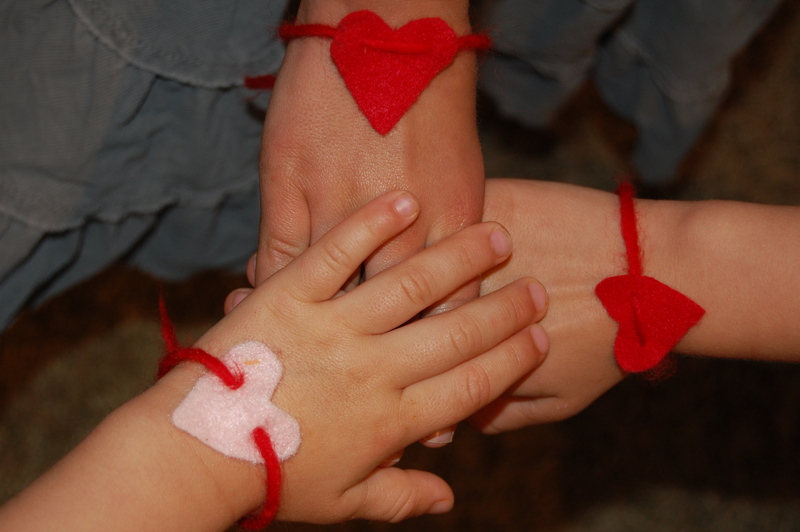 They were sooo fun and by far one of the easiest projects to do with little ones. 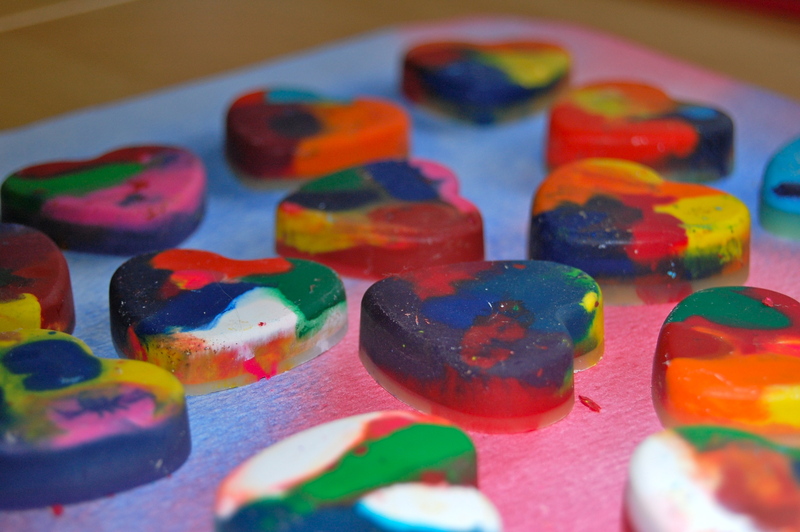 From the collecting of the old crayons, to the popping out of the mold to see the finished heart! Oh the anticipation!! 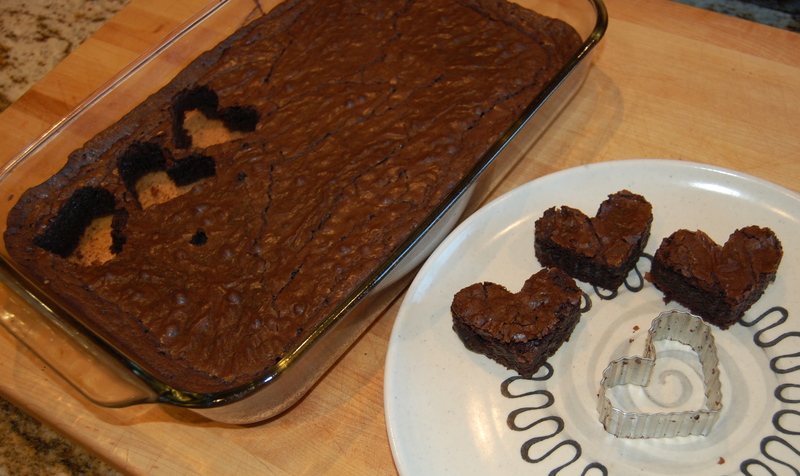 until I discovered that my heart mold pan was now destined for the “art/craft drawer” instead of the kitchen. 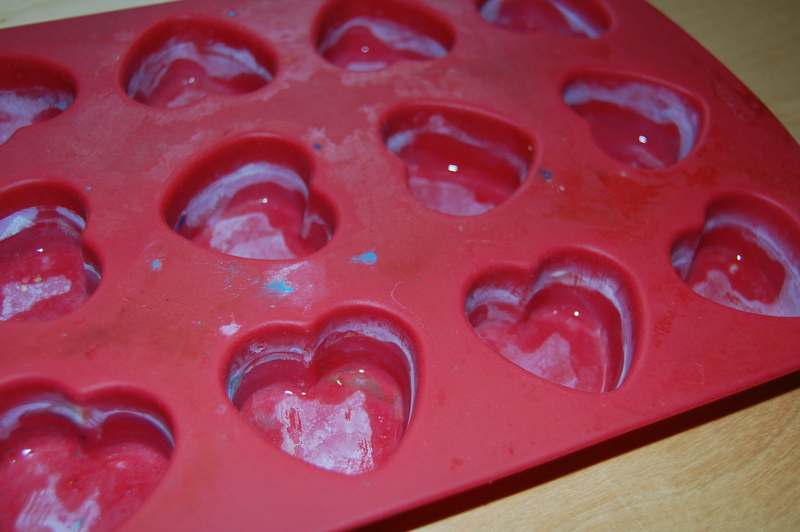 A little warning on the above project, if you want to actually bake with these molds again, DON’T use them to melt crayons in! Wishing you all a very love-filled, and beautiful week!!! p.s. the girls are all back to their extremely energetic selves and have recovered fully AND a big thank you to all who had kind words of encouragement and assistance on my last post. I have been making some progress and am feeling much better about it– Yay for quilting victories!!! I really appreciate the support. We are so lucky to have this great quilting/blogging community!! What great ideas. I love your creativity!! Wishing all of you a Happy V-Day. Love, love, love these and I was wondering if you’d just knit me up about 25 of them since I don’t knit!!! 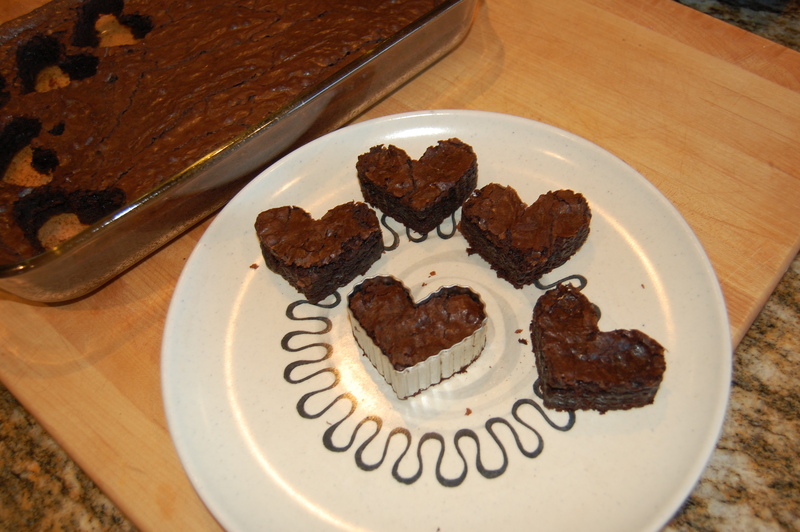 (Just kidding) I can do the crayon hearts and the brownies but the knit hearts are just way too cute. And ~ the picture of your little girls’ cute hands makes me smile. What a wonderful mom you are!